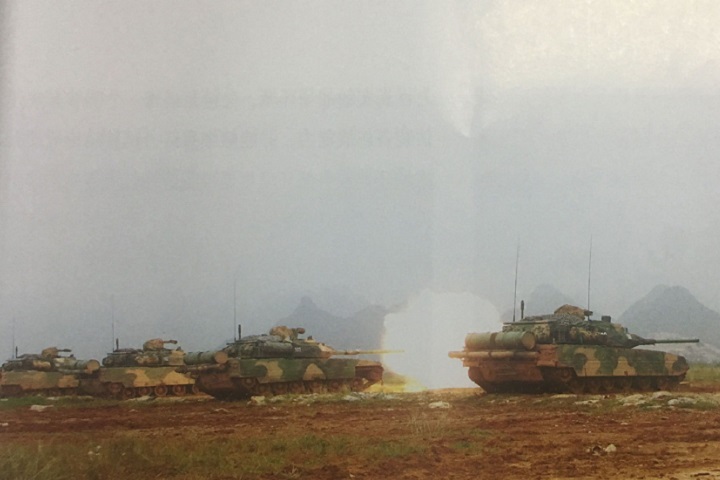 the 123rd Combined Arms Brigade (合成第123旅), 75th Group Army, Southern Theater Command. The 123rd is one of PLA's elite units guarding China's southern flank and considered to be one of Army's major amphibious units. With that in mind, it is not unreasonable to assume that the 123rd is part of an contingency plan for an island 110 miles east of Fujian province. Having this new light tank could come in handy, not just for amphibious landing east Fujian but several other scenarios around Southern China as well. 123rd Combined Arms Brigade was expended from the 369th Mechanized Infantry Regiment, 123rd Heavy Amphibious Mechanized Infantry Division, 41st Group Army, Guangzhou Military Region during the last round of PLA or-org an year and half ago.